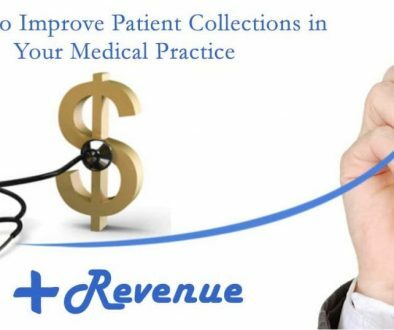 Employing an offshore medical billing company can improve your revenue collections, reduce costs, and improve patient satisfaction.Implementing an accurate and compliant medical billing process is crucial to the collection of revenues at medical practices. But achieving this is not always easy. For starters, medical practices must use an efficient EMR and billing software and train their staff in handling the billing systems. There is also the challenge of staying up-to-date on the changes in medical billing codes and regulations. Inaccuracies in billing can lead to loss of revenue, increase the workload for your hospital staff, and lead to poor patient experience, which in the long-run can hamper the reputation of your medical practice. So, it’s not surprising that many medical practices in the U.S, have opted to outsource their entire medical billing and coding to offshore medical billing companies that specialize in this activity. Employing the services of an offshore medical billing company offers many advantages. We have listed the significant ones below. 1 .Lower operational expenses:-When you work with an offshore medical billing company, the entire administrative cycle of billing, coding, and collection is taken care of, so you spend lesser on hiring and training front-end staff, and on maintaining an IT infrastructure. You also have access to a ready pool of trained medical billing staff of the service provider which makes it easier to scale backend operations at a lower cost. • All claims are processed electronically, which reduces time-to-collection. • Claim applications are also scrutinized by a trained team before submission to reduce insurer denials. • Instead of being burdened by follow-up calls to insurance companies or data entry, your front-end staff can now focus on educating patients and their families on the expected costs of medical procedures, their out-of-pocket expenses, and the payment options available (e.g., CCOF or credit card on file and online payment apps) to patients. All of this will result in greater payment collection. 3.Ensure HIPAA and ICD-10 compliance:- A major concern of outsourcing medical billing is the risk of breach of sensitive patient information. However, this can be overcome by ensuring that the offshore medical billing company you partner with is HIPAA compliant (which means that the services provider has administrative, physical and technical safeguards in place to keep your data safe). To be fair, if you don’t opt for outsourcing medical billing, you’d face the same data-theft risk for transactions processed electronically at your medical practice, and would need to invest time and money in being HIPAA compliant. Keeping track of the many changes in ICD-10 codes year after year (the final list of codes for 2018 has more than 300 amendments), can be a recurring administrative nightmare and gnaw at the productive time of your staff. On the other hand, with an offshore medical billing company the responsibility of updating systems and training staff on the new code shifts to the service provider leaving you and your team to focus on the core job of providing quality healthcare. 4. Greater control of billing process :-Many medical practices hesitate to work with an offshore medical billing company because they fear the loss of control, when in fact the opposite is true. You see medical billing is a highly competitive industry, and your medical billing company is going to do everything in its power to keep you happy. The only way they are going to achieve that is by improving your collection time, minimizing billing errors and claim rejections, ensuring that costs do not skyrocket as you expand, and by providing regular reporting. In other words, you enjoy greater control over the billing process of your medical practice. 5. Improve patient satisfaction :-The systematic capture of patient information and electronic processing of claims (through a medical billing company) allows your staff to be better informed to handle patient queries on payments. They also have more time to interact with patients and their families, assuaging any other concerns. At the back end, electronic claim processing and scrutiny of claims by a team of billing professionals result in higher claim approval rates. Being able to provide an upfront estimate of medical costs, improving the level of human interaction, and promptness in claim processing, are all aspects that positively influence patient experience with a medical practice. Deriving these benefits of hiring an offshore medical billing company will depend on partnering with the right service provider. Of the several international locations you could choose, India is considered an ideal choice because of its skilled English-speaking workforce, a manageable time difference (approximately 9 -15 hours), and a favorable U.S. dollar -Indian rupee exchange rate. Elite Offshore Resources is an offshore medical billing company based in the Indian state of Rajasthan. Our team of medical billing and coding professionals delivers high-quality support, from medical billing and medical coding to customer/patient services and other back-office tasks. Nice information about the Offshore Medical Billing Company.It’s lots of new things thanks for sharing.